Please note: this post was scheduled. Unfortunately, posts will be temporarily on hold due to the fires in Lake County. My family is safe, but we are dealing with the loss of our home and taking care of things. Keeping everyone affected by this tragedy in my thoughts. Having graduated four months ago, I’ve been soaking up the privilege of having time to read whatever I want. But that’s not to say that I didn’t read some great books in college! I’m borrowing this idea from Megan at Hepburn’s Pixie Crop, who recently shared her favorite college course reads. Thanks, Megan! I majored in Art History, with an emphasis mainly in the late nineteenth and early twentieth centuries. Unfortunately, we don’t do a lot of fiction reading in Art History so instead, I’m listing my favorite reads from my general ed literature and humanities courses. In Part 2, I’ll share my favorite non-fiction Art History books! 5 Star Books! These are the books I absolutely loved and was so happy to have been forced to read. 4 Star Books! These books were nearly perfect, though not quite in one way or another. Some were a bit heavy, others a bit lightweight. But all were surprising reads I might not have otherwise read on my own. 3 Stars and Lower… These were the books I wasn’t as enthused about. They can’t all be hits, right? 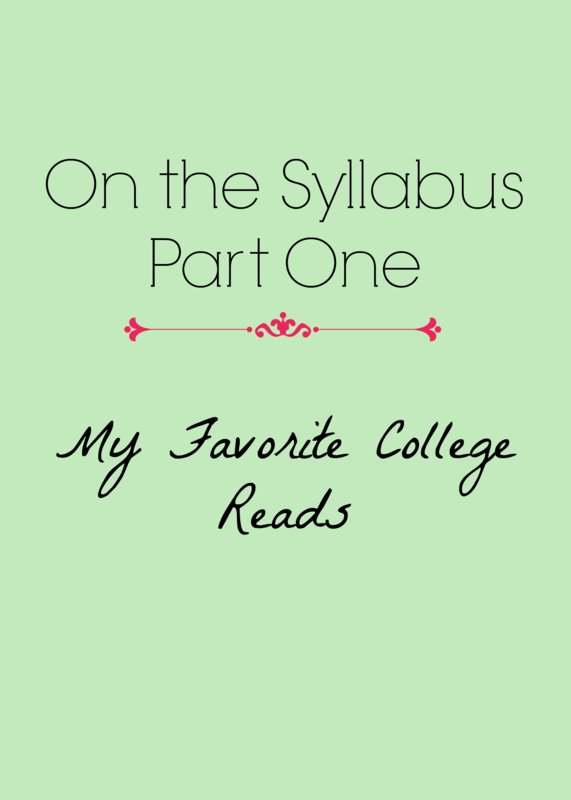 In Part Two, I’ll be sharing my favorite academic-oriented books from my college days! Yeah I got to read some fun offbeat things in some of my classes! Thanks for the idea – it was fun to go back and see everything that I read and enjoyed. And thank you too for your kind words regarding our loss – much appreciated.